Even better, Data Bus completed three runs outside my house with promising consistency, albeit poor accuracy. 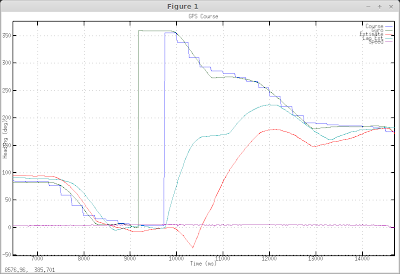 Hopefully the inaccuracy is due to a time shift between the uBlox reported heading and the gyro signal. For the Venus, that lag was 1000ms, for the uBlox about 600ms. Unfortunately estimation is a disaster. I suspect a heading value or a difference between headings that's not being clamped properly, or some similar mathematical artifact, since the issue appears to happen around north (0 degrees), whether driving manually or autonomously. Here are the results of a manual test run. 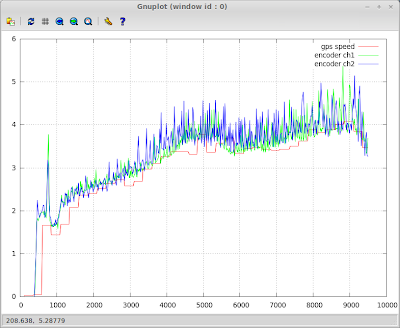 Above, the green gyro-based heading computation is actually fairly close to the GPS course data in dark blue. 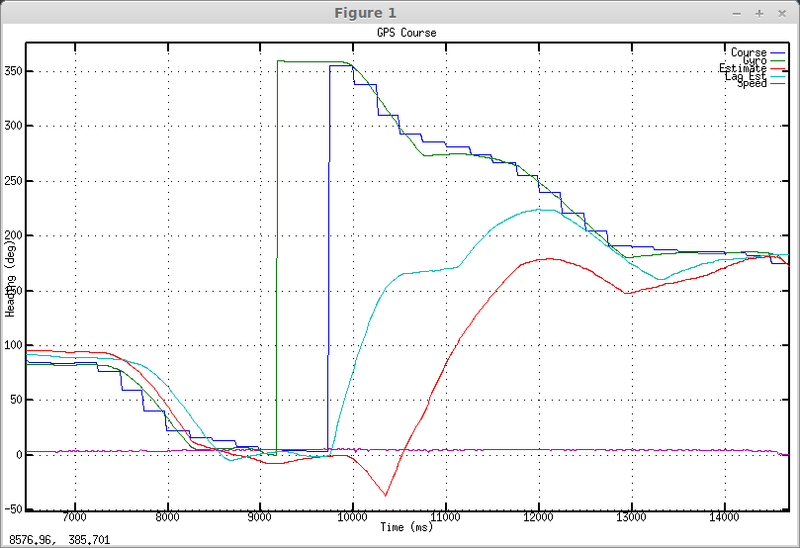 The light blue line is the result of running the gyro and gps through the Kalman filter. it's obviously very wrong. The Kalman filter estimate is used to determine error of the gyro-based heading and over time, nudges the gyro estimate to generate the current heading estimate, red line, on which navigation is based. Problems come into play when adding and subtracting angles. I thought I had that pretty well settled last year but I guess I introduced the same bugs again with new code this year. 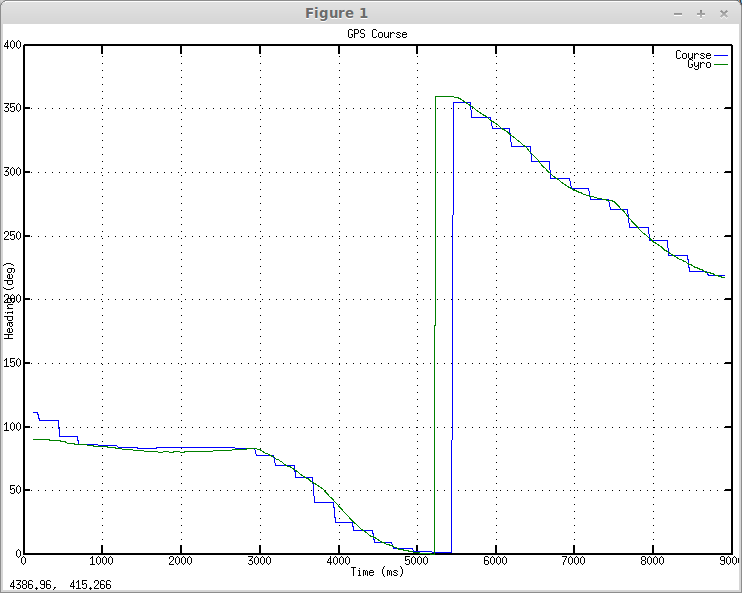 On the upside, the encoders appear to be working correctly. That spikiness is normal, believe it or not. The intermittent giant spikes I was seeing on the left channel are gone.